Judith Mariscal (Ph.D. in Public Policy from the LBJ School of Public Affairs, University of Texas at Austin) is Professor at the Centro de Investigación y Docencia Económicas (CIDE) and Director of the Telecommunications Research Program (Telecom-CIDE). Telecom-CIDE has been creating and disseminating knowledge on ICT for development for the past fifteen years. 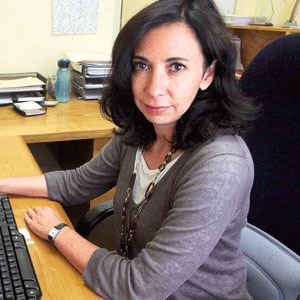 She is a member at the highest level (III) of the National Research System in Mexico (SNI), and member of the Steering Committee of the Regional Dialogue on the Information Society (DIRSI), as well as the Communications Policy Research Conference (CPR-LATAM). Judith is Associate Editor of Information Technologies and International Development (ITID), former member of the Board of Advisors of the telecommunications regulatory agency COFETEL, and former Director of the Public Policy and Administration Division at CIDE. Judith Mariscal has participated in numerous ICT research projects at the national and international level. She has published extensively on telecommunications regulatory policies. She has authored the books: Licitación 21: Public Policy Lessons in Telecommunications, (CIDE 2014, Editor), Digital Poverty: Prospects for Latin America and the Caribbean, (CIDE 2009, co-editor with Hernan Galperín) and Unfinished Business: Telecommunications Reform in Mexico (Praeger Press 2002).